During the month of October 2018 DigitalOcean is again running Hacktoberfest to support open source projects. They are offering a limited edition T-Shirt for any person making five pull requests to any public repo on GitHub. To get a shirt, you must make five pull requests (PRs) between October 1–31 in any timezone. 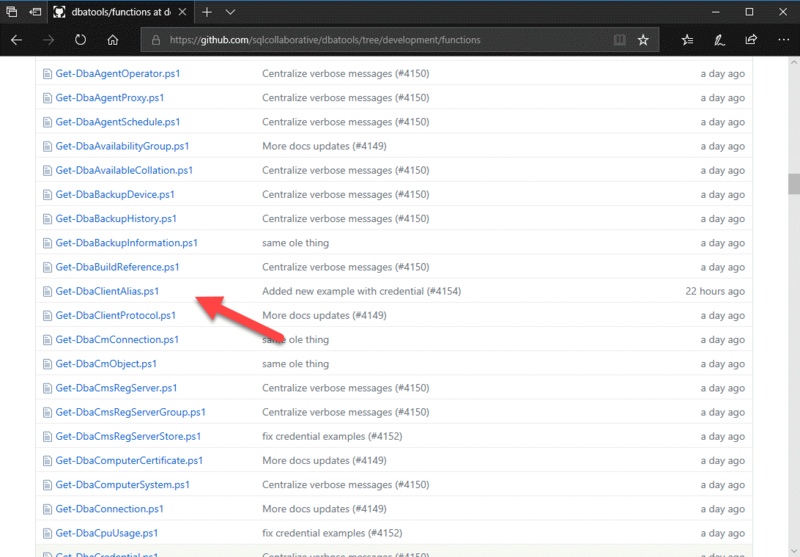 PRs can be to any public repo on GitHub, not just the ones highlighted. The PR must contain commits you made yourself. This year, the first 50,000 of you can earn a T-shirt (compared with 30,000 in 2017). Not sure how to commit? First, create an account. 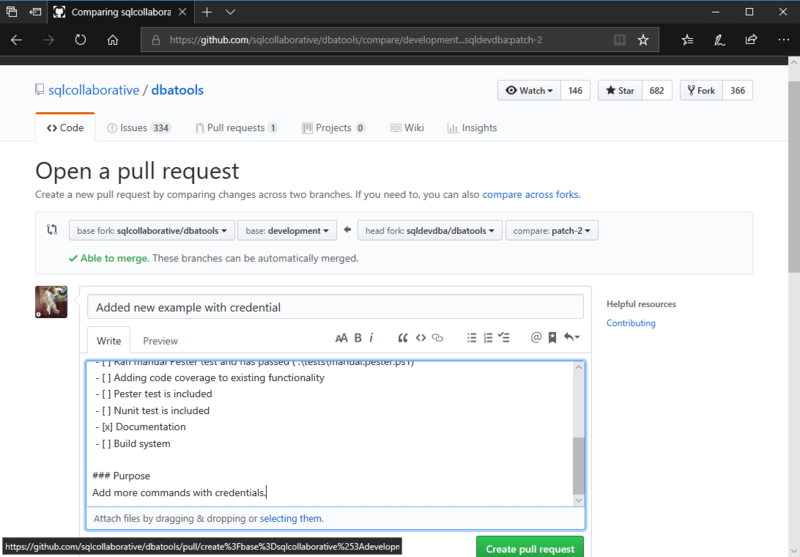 GitHub is free and you do not need to pay to participate. 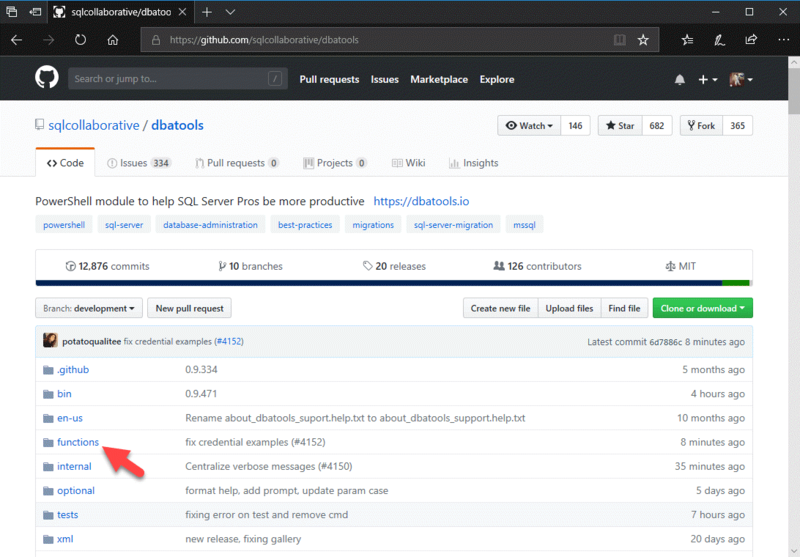 Then head over to the dbatools repository using the shortlink dbatools.io/git. 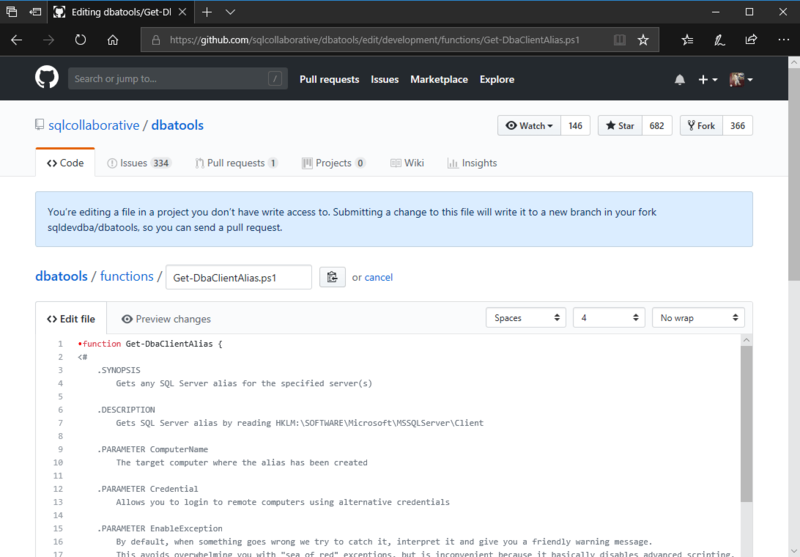 After creating your GitHub account don’t forget to register at hacktoberfest if you want your contributions to be recorded and to qualify for a T-Shirt. In this case, we’ll add an example to Get-DbaClientAlias. 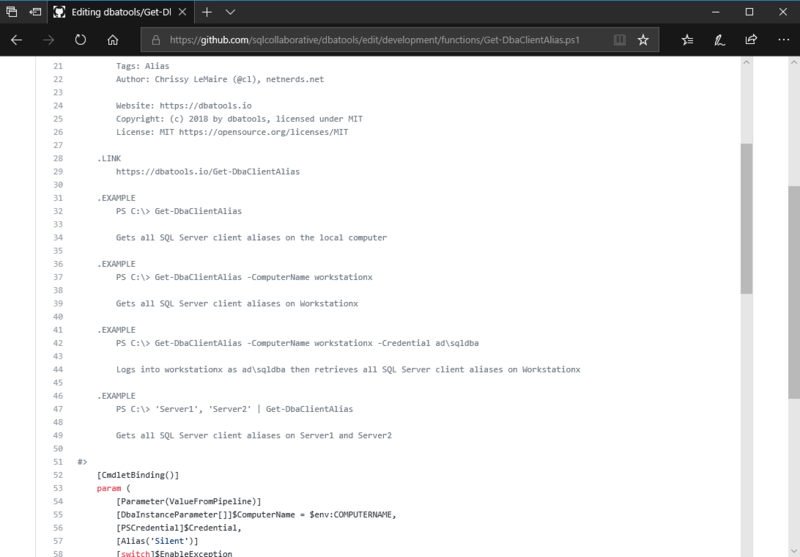 We can do this by clicking on the functions directory. 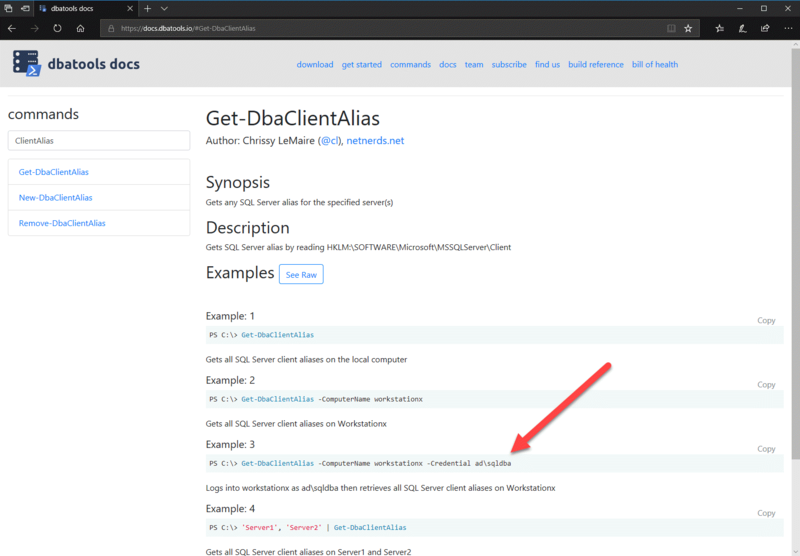 Next, click on the Get-DbaClientAlias function. 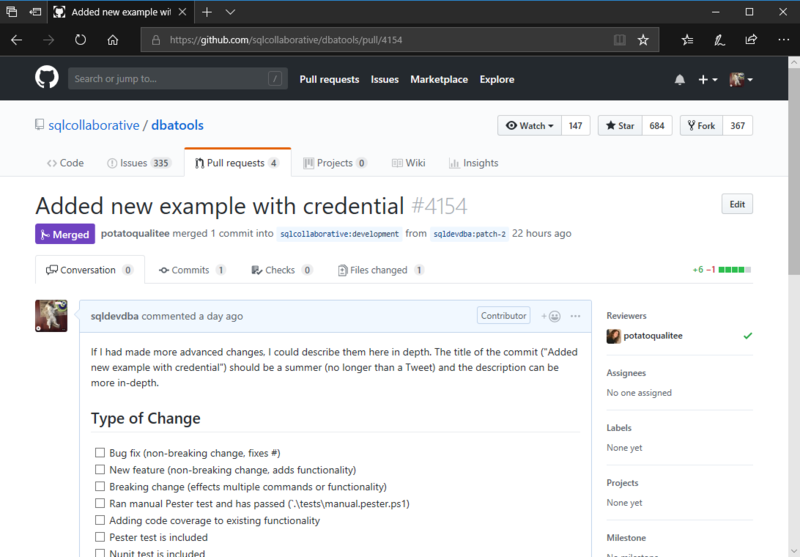 If you haven’t forked our repo before, you’ll get a notice that GitHub has done all the work for you. Proceed to adding the example by scrolling down to find the list of examples. Then proceed to saving your changes by filling out the form at the bottom. Click the green “Propose file changes”. Congrats! 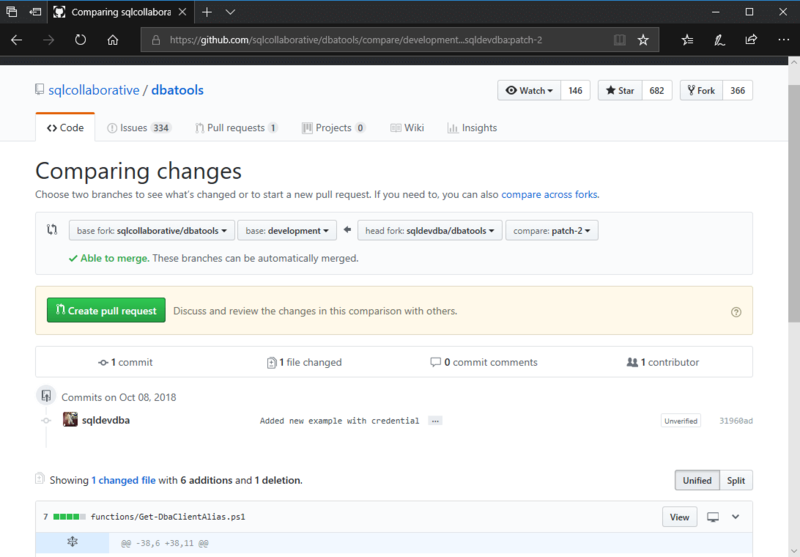 You’ve made your first commit. You will now be prompted to create a Pull Request. 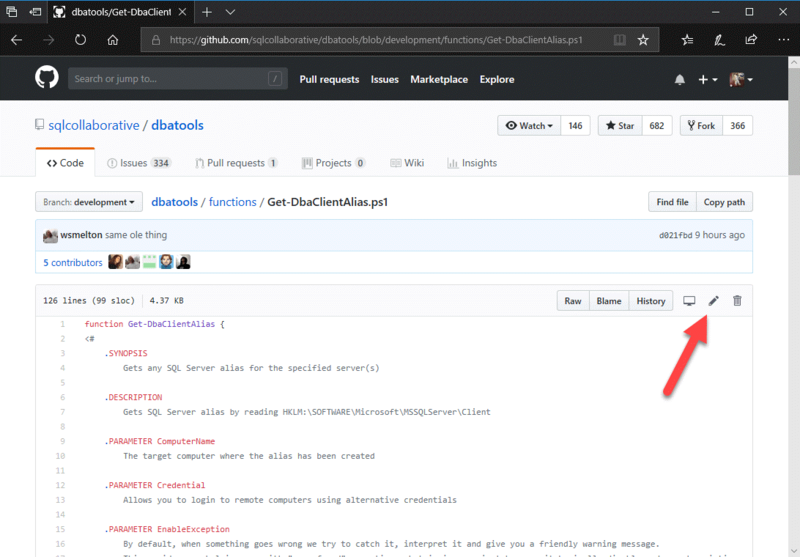 Click the button that says “Create pull request”. Things are filled out for you already. 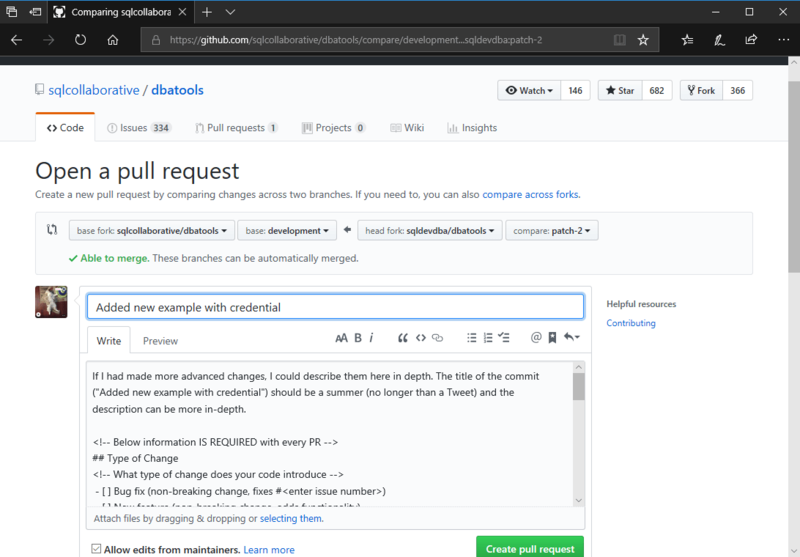 Modify as necessary and click “Create Pull Request”. 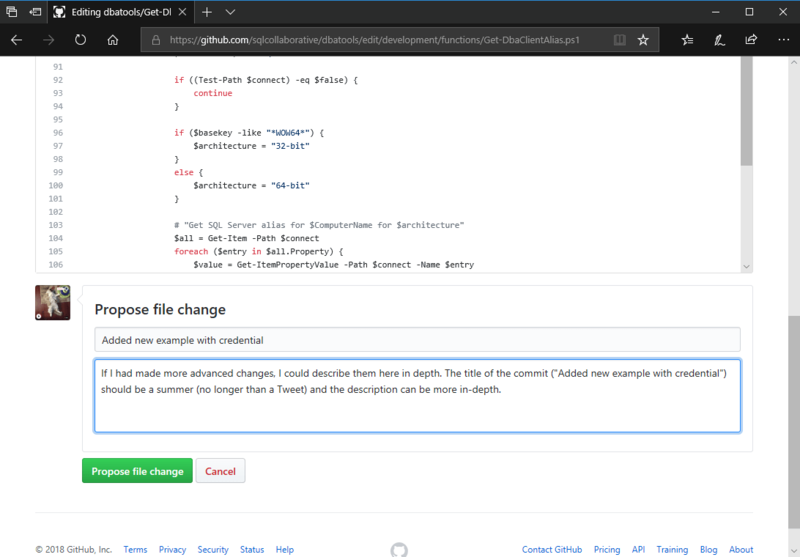 If you’d like more examples, check out Mötz Jensen’s last two pull requests where he added some useful examples. Remember you will need five pull requests before end of October for a T-Shirt!